Dedicate a chunk of your time to creating a charming addition to your model collection! 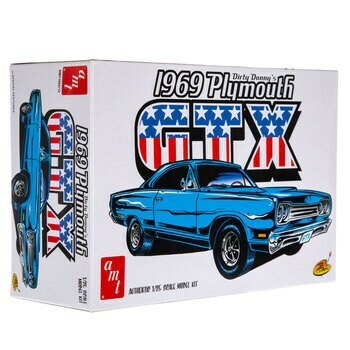 1969 Plymouth GTX Model Kit is perfect for any car lover and collector. Assemble the pieces inside to create this classic car, add paint (not included), and embellish with the decals inside!